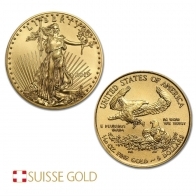 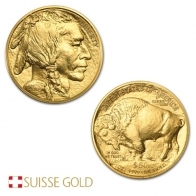 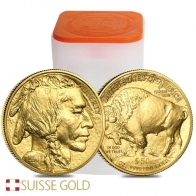 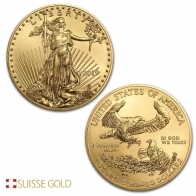 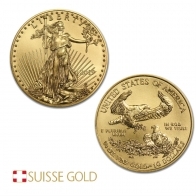 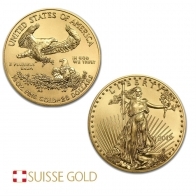 Suisse Gold sell United States Mint manufactured gold coins, including the gold American Eagle coin, the gold American Buffalo, and the gold St. Gauden. 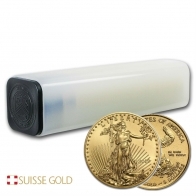 Gold coins are available in ounce denominations. 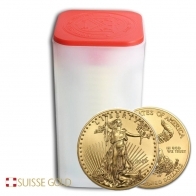 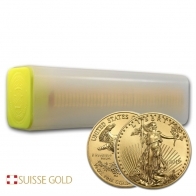 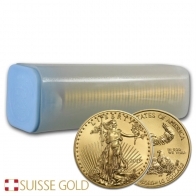 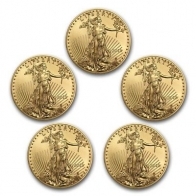 Buy gold American coins for Swiss storage or delivery.